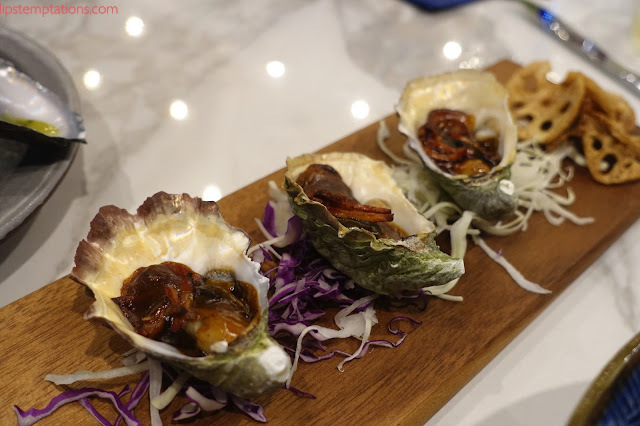 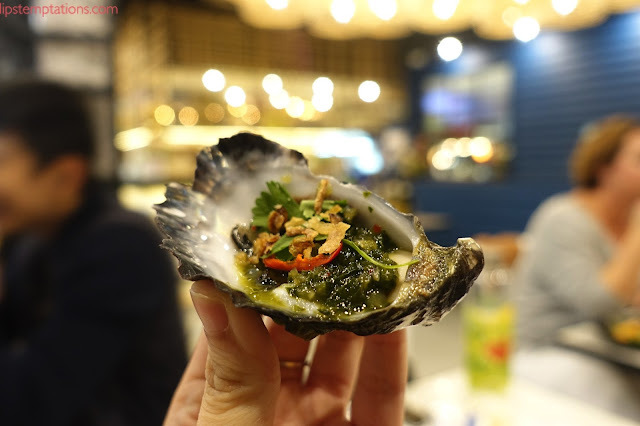 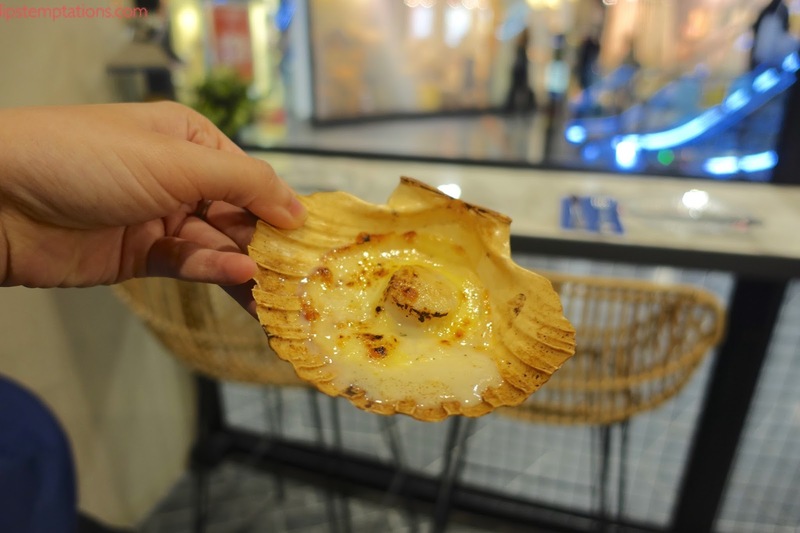 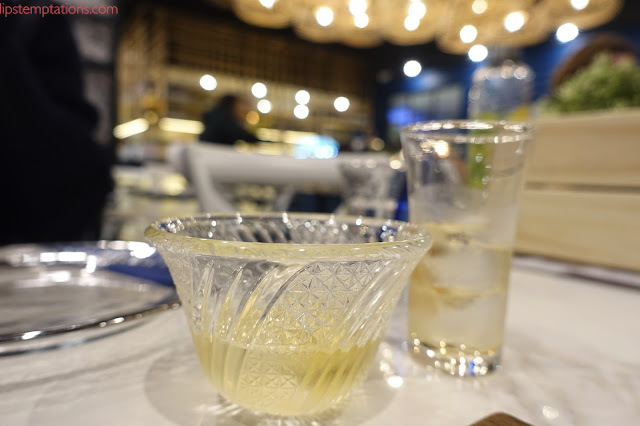 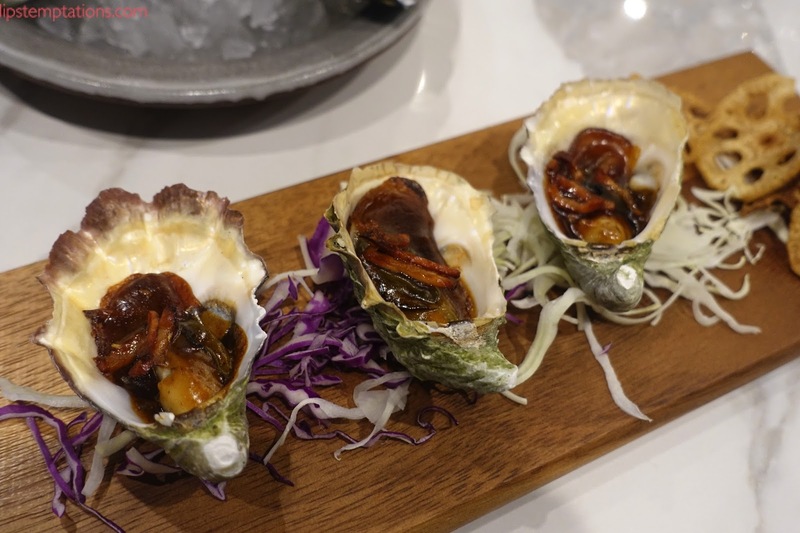 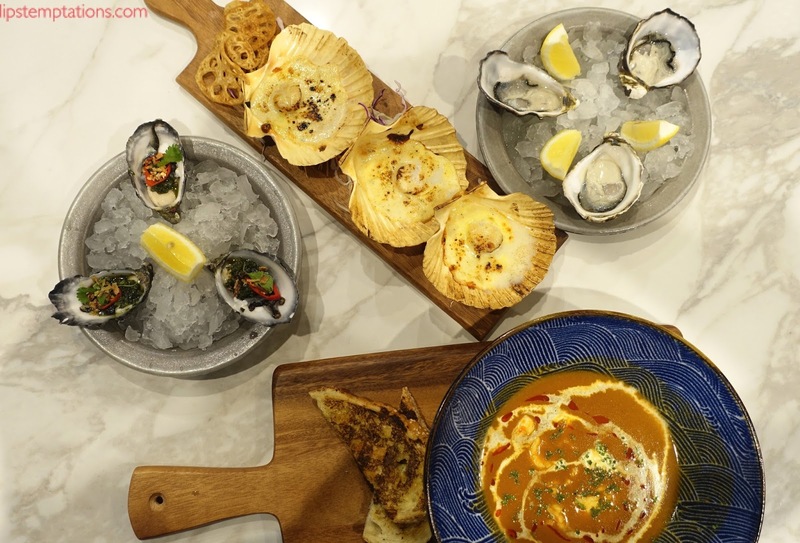 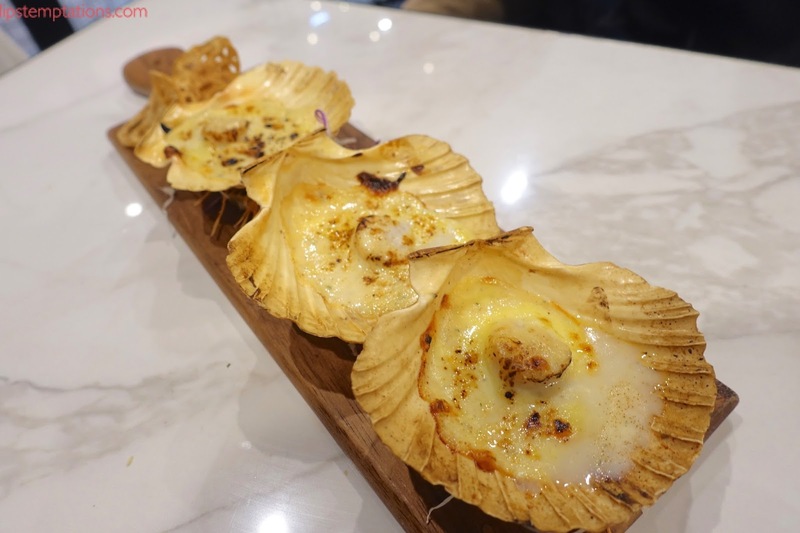 Unabara Lobster & Oyster Bar is basically what the name stated, a lobster and oyster specialise restaurant with suitable drinks of your choice. 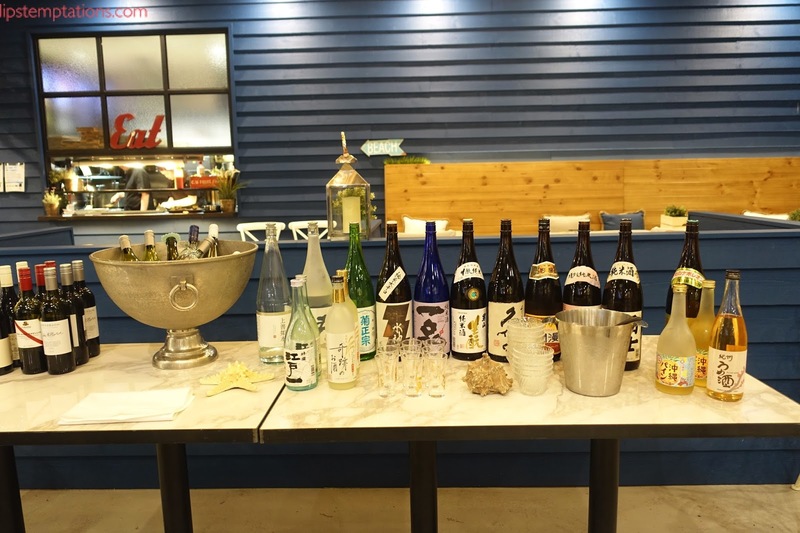 Starting with wine or beer or sake, anything you like. 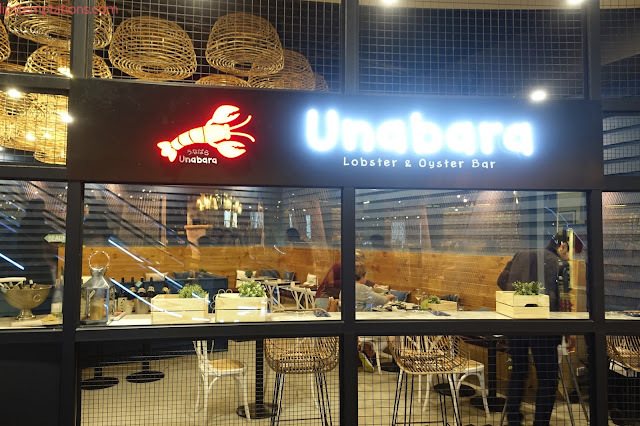 That's what Unabara means in Japanese. 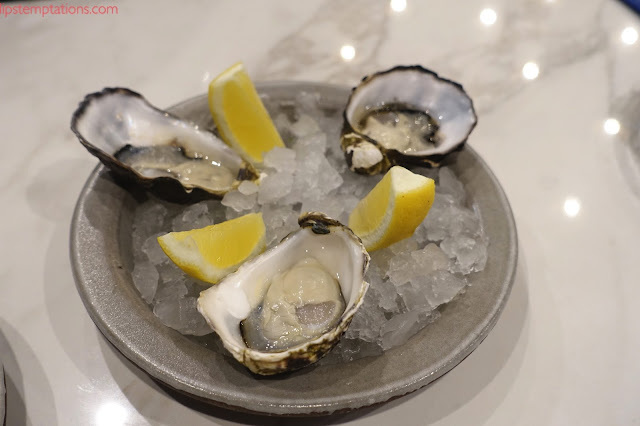 They have made a mission to bring the best ingredient at its peak quality in a sustainable, they promise to picked a selection of wild or sustainable fish, oyster varieties and shellfish. 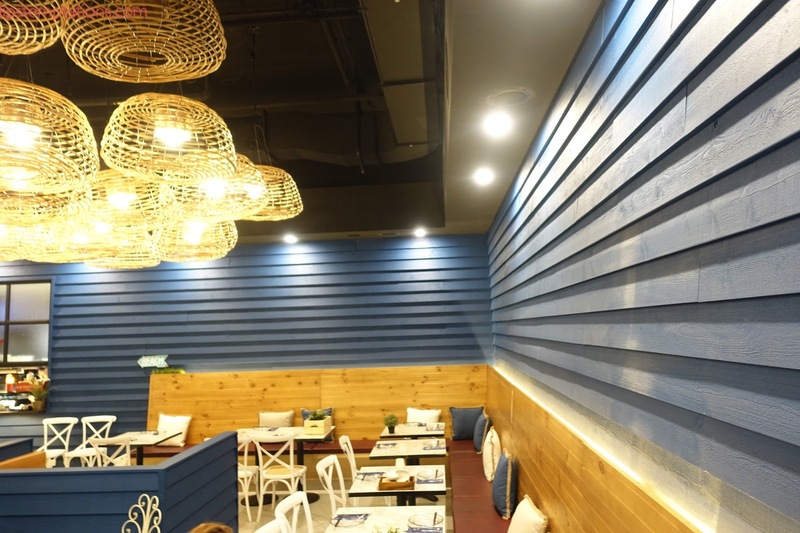 It's located in Emporium, nicely decorated in wood and royal blue which I love. 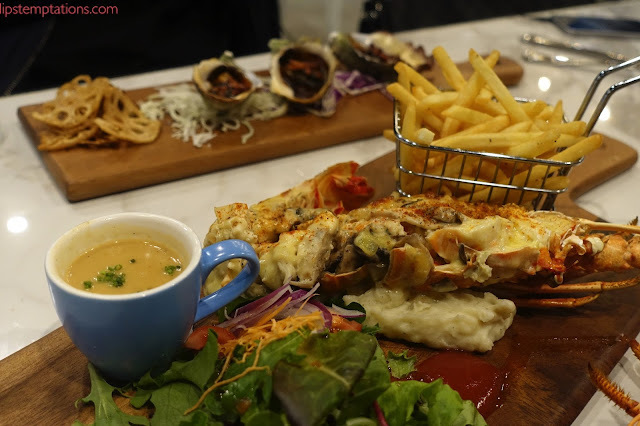 It has a beach oceany vibe which is suitable for the place. 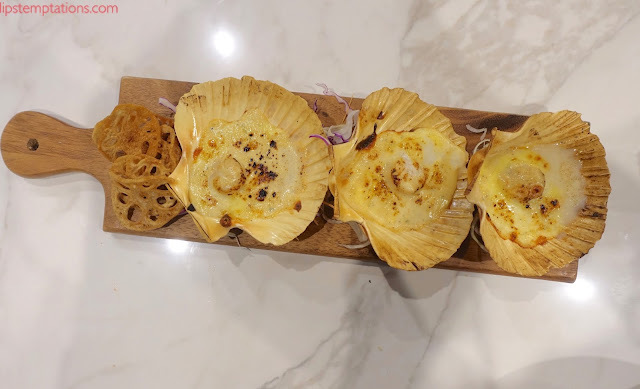 The restaurant shared half of the bar with Gyoza Gyoza. 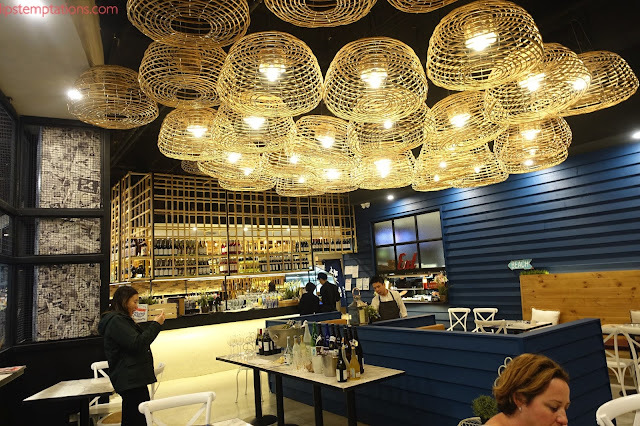 I do love the high ceilings and their menu variety. 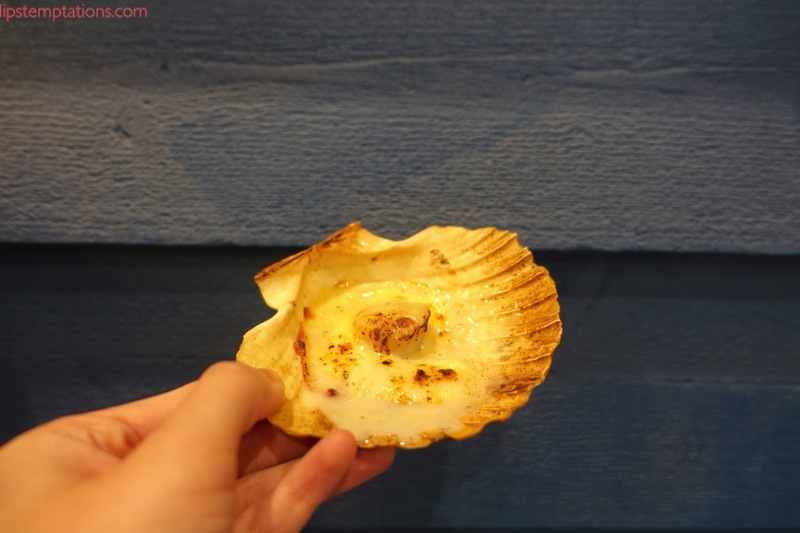 Lobster Bisque ($15) and Grilled Scallop. 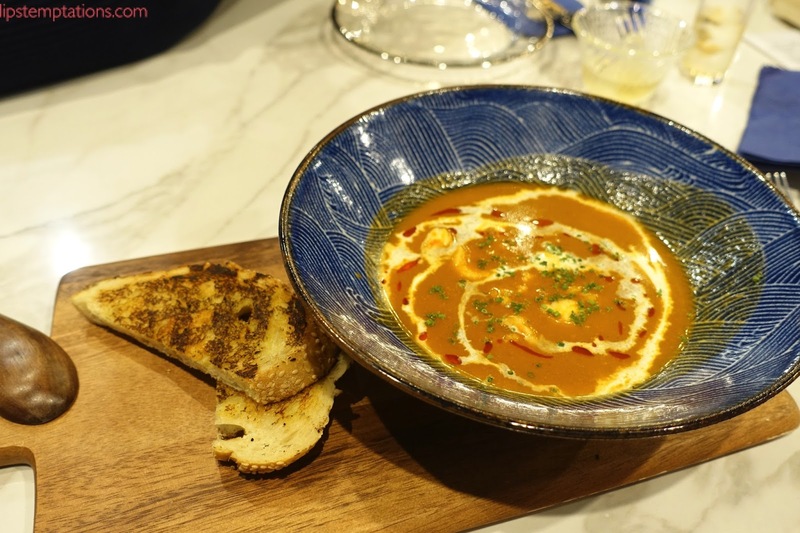 It's a thick, creamy, rich lobster soup with chunks of lobster in it, 25g to be exact. A truly delicacy for a lobster fan or just simply seafood fan. It's best to share since it was rich and we want to enjoy the other lobster dish as well. The scallop is a lil bit over cooked but the creaminess of the sauce is super delicious. 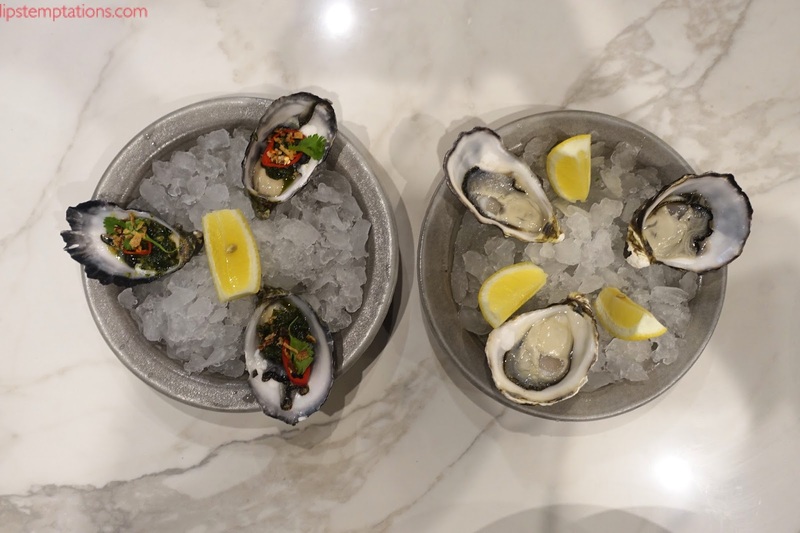 It's a fun concept where you can choose how to eat your oyster and what kind of oyster do you want. They have various choices of how to cook your oyster and sauces to go with it. This were what my husband picked; Natural Oyster from St Helens Pacific Oyster (Tasmania), Thai from Smokey Bay (SA) and Kilpatrick from Coffin Bay Pacific Oyster (SA). 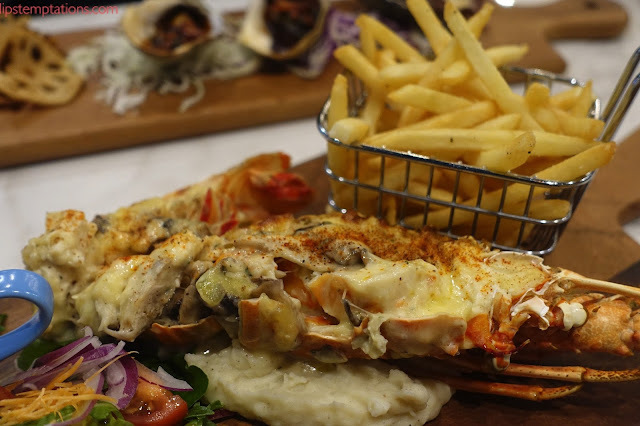 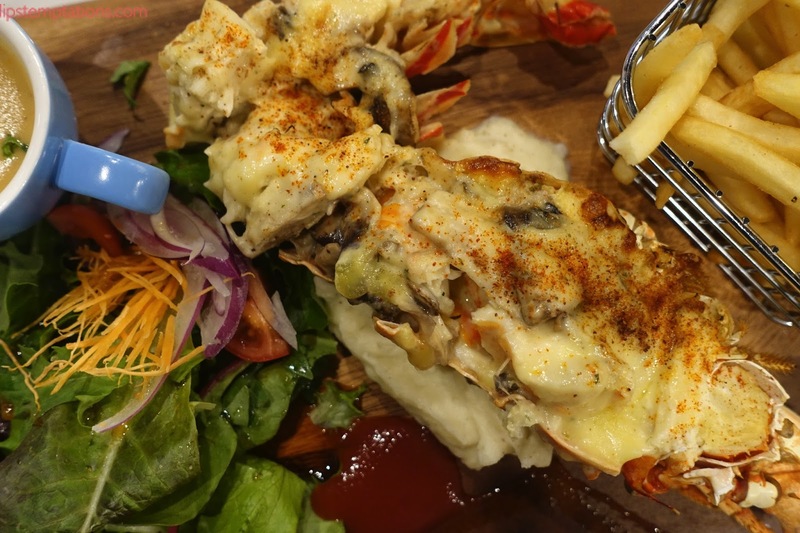 Grilled Half Western Australian Rock Lobster (250g) - flat chips, side salad ($29.9) with a choice of garlic butter or mornay sauce. 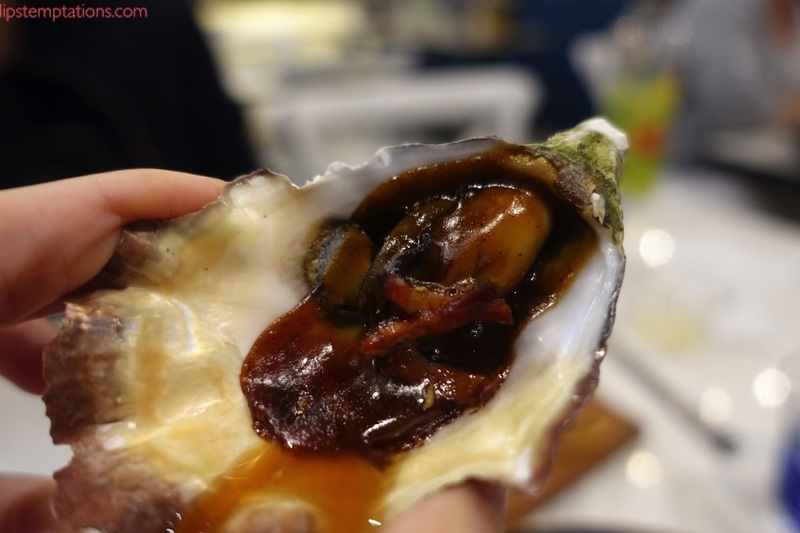 I get to experience both sauce. 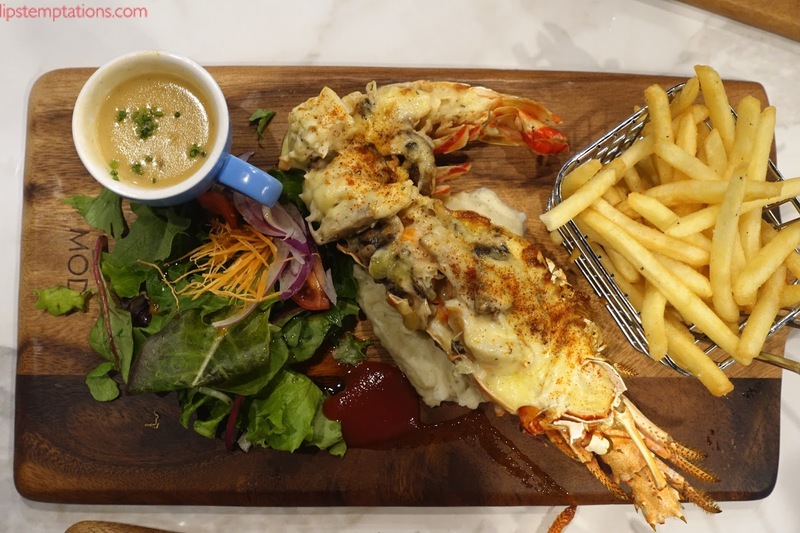 The garlic butter comes with a lil lobster bisque and mornay sauce comes with creamy chowder. 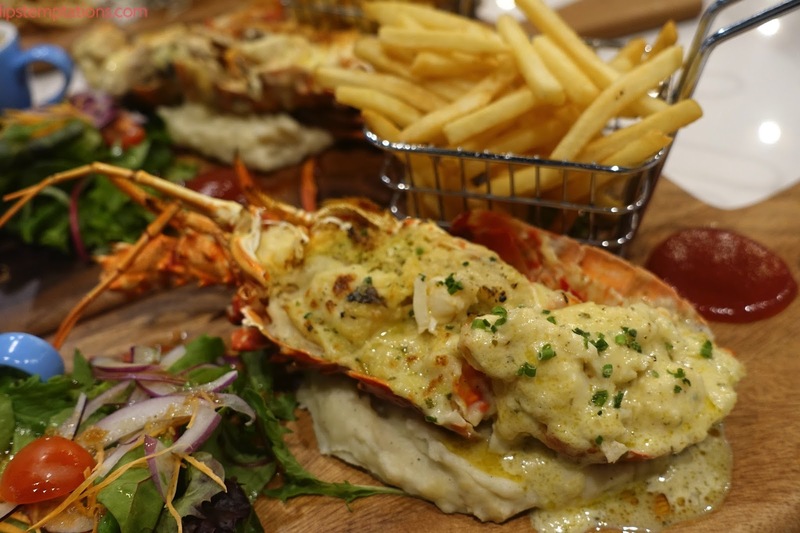 The lobster has generous meat, cooked perfectly. 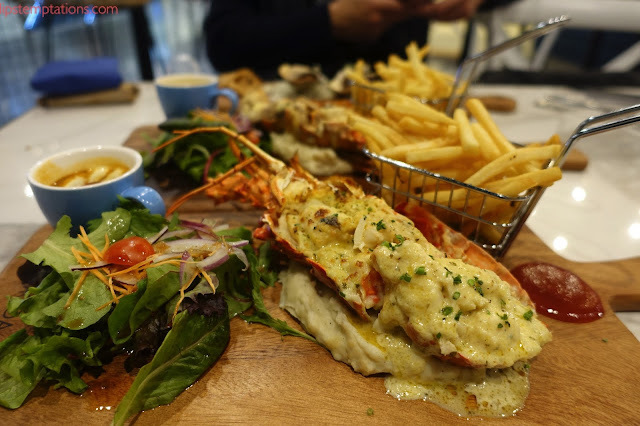 Both sauce were rich, I like the garlic butter more just because it's lighter and the lobster taste much more against the sauce. 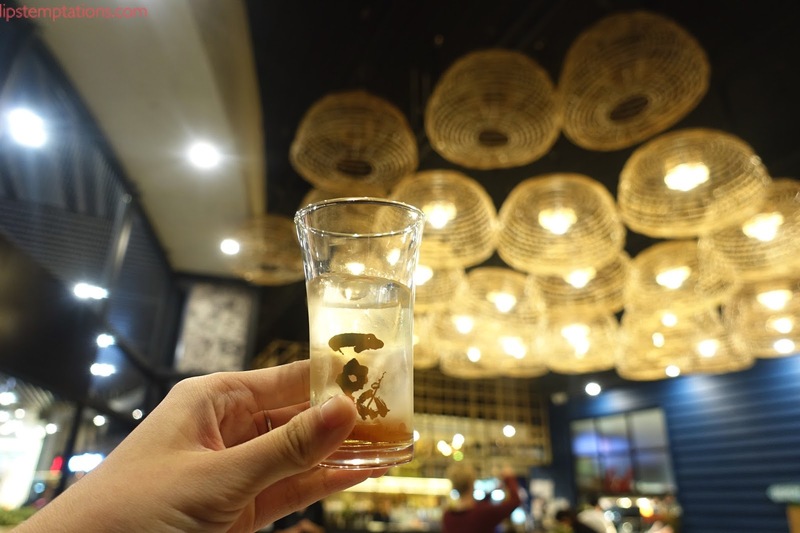 I honestly love the whole experience. I do think Melbourne needs a place like this, special place for Lobster. 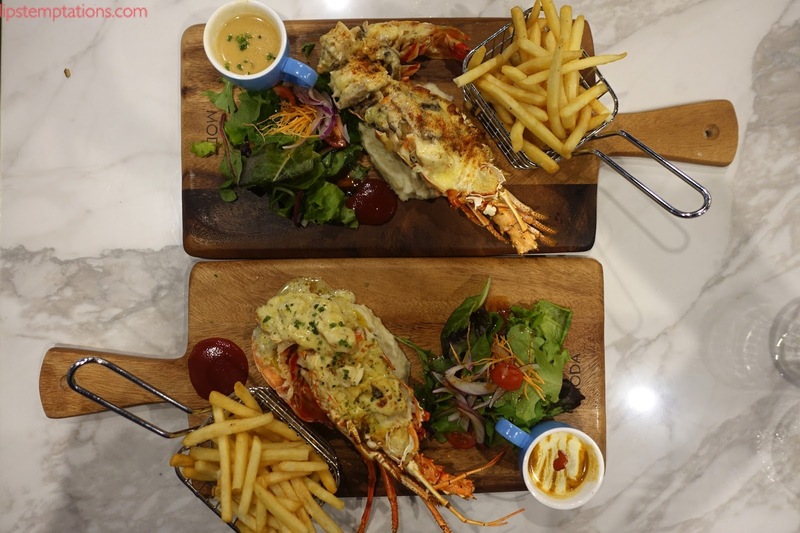 Both me and my husband, would definitely come back to satisfy my seafood cravings, especially lobster.